Sanne H. Knudsen, The Flip Side of Michigan v. EPA: Are Cumulative Impacts Centrally Relevant?, 1 Utah L. Rev. 1 (2018). William Shakespeare, Hamlet, Act III Scene iv. Happy is the litigator who successfully turns an argument against the adversary who propounded it. The joy is no less delicious for an academic. Professor Sanne Knudsen tries to turn the trick against the conservative majority of the current Supreme Court in her tidy article, The Flip Side of Michigan v. EPA: Are Cumulative Impacts Centrally Relevant? Knudsen has gone to war against the narrow, atomistic thinking that, in times of both regulatory advance and retrenchment, has characterized much of environmental policy. Flip Side seeks to infiltrate comprehensive analysis across a broad front of agency decision-making, strengthening environmental regulation under cover of a court decision that struck down a major pollution-control rule. Flip Side begins by analyzing the Michigan v. EPA opinion, in which the Supreme Court, per Justice Scalia, ruled 5-4 that the Clean Air Act requires EPA to consider industry’s costs of compliance when deciding whether it is “appropriate and necessary” to regulate mercury emissions from power plants. Knudsen avoids, or rather just dips a toe into, several scholarly debates the opinion generated. Did EPA lose at Chevron step one, because the statutory term “appropriate” unambiguously includes cost considerations, or at Chevron step two, because it is unreasonable to exclude cost considerations when construing ambiguous statutory language? How strongly did the Court endorse cost-benefit analysis as a mandatory component of environmental regulation? How broadly will the mandate to consider costs be applied in other statutory contexts? For Knudsen’s project, the resolutions of those debates are not terribly important. What matters, she argues, are three salient features of Michigan v. EPA: First, that the Court held that a statute required EPA to consider a factor not explicitly mentioned in the statute’s grant of regulatory authority. Second, that the Court conflated review of EPA’s statutory construction with review of the rationality of EPA’s decision. And third, that the Court expressed this conflation broadly rather than through a tight focus on the specific statutory words at issue. That Knudsen draws support for her reading from both Cass Sunstein and Lisa Heinzerling suggests she is on to something. From these features, Knudsen crucially infers that the method of Michigan v. EPA need not be limited to cost considerations, need not hinge on details of statutory language, and need not be limited to the Clean Air Act. As she puts it, Michigan v. EPA stands for the proposition “that factors which are presumptively indispensable to nonarbitrary decisionmaking must be considered.” (P. 20.) And that frees Knudsen to ask her central question: what other factors, in addition to cost, fit that description? To answer, Knudsen turns to science to argue that cumulative impacts, no less than compliance costs, are so centrally relevant to environmental policy decisions that they must be considered in any rational regulatory process. For someone with Knudsen’s background in environmental engineering—or with any background at all in ecology or environmental science—this part of Flip Side’s argument takes little effort. Citing examples of climate change, chemical exposure, water quality and supply, and introduced species, Knudsen shows convincingly that interconnectedness and interaction pervade the subjects that environmental statutes address. Failing to regard these relations when making environmental policy, Knudsen argues, systematically understates the risks presented by environmental contamination, undervalues the public health benefits of regulation, and underestimates the environmental impact of government activity. To view each regulatory or resource management decision in isolation, ignoring the cumulative impact of that decision combined with other relevant governmental or non-governmental actions, Knudsen argues, is to ignore a critically important aspect of the problem. And that, she concludes, is arbitrary and capricious under Michigan v. EPA. Flip Side concludes with a brief consideration of how environmental policy could improve if agencies knew that their decisions must take account of cumulative impacts in order to survive judicial review. Such a requirement, for instance, could help defend EPA’s practice of including co-benefits (those caused by, but incidental to, meeting the intended regulatory target) in regulatory impact analyses. Knudsen further gives examples of a Minnesota statute that requires consideration of cumulative impacts when issuing air pollution permits, of the potential of evaluating cumulative toxicity risks in chemicals regulation, and of an EPA Region 9 effort to consider cumulative impacts on surface water quality when issuing pollutant discharge permits. In each of these media-specific regulatory programs, Knudsen shows, requiring cumulative impact assessment would bring agency decisions into better alignment with the public health and environmental protection goals of the statutes being implemented. For litigants that may wish to challenge future agencies that deregulate or decline to regulate without considering cumulative impacts, Flip Side provides a generalized strategy. The strategy is not without its risks. As Knudsen acknowledges only in passing, rigorous evaluation of cumulative impacts is in many contexts difficult to nearly impossible. Even where information exists that would permit some cumulative impact analysis, the exercise presents difficult line-drawing problems: if it is arbitrary and capricious to act without considering cumulative impacts, how far must the analysis extend to survive judicial review? Of course the Supreme Court, in interpreting environmental statutes including the National Environmental Policy Act, the Endangered Species Act, and the Comprehensive Environmental Response, Compensation and Liability Act, has asserted that it is easy to answer such questions by importing concepts such as proximate cause from the common law of torts. Nevertheless, the possibility that courts might misuse Knudsen’s clever argument gives one pause. On the other hand, Knudsen’s idea may have even more potential than she presents in Flip Side. Her fundamental point, that interactions in complex systems must be considered in formulating rational environmental policy, could be applied also to the cost side of the cost-benefit computation. Experience shows that initial predictions of compliance costs are usually exaggerated. This is not surprising, given the incentives that face a regulated industry before and after a new requirement is promulgated. If Michigan v. EPA means agencies must always consider costs before deciding to regulate, Flip Side implies that courts should welcome, even demand, agency approaches that treat costs in a more dynamic, systems-oriented way. A petard was a primitive type of grenade, an explosive charge that was intended to breach defensive walls but that often blew up the person planting it. In The Flip Side of Michigan v. EPA, Sanne Knudsen has lobbed a grenade that should explode the walls that constrain environmental regulation into a series of individual decisions analyzed as if ceteris paribus were a description of reality instead of an analytical convenience. It should open a frame for policy-making that will more fully account for regulatory benefits and for the environmental impact of proposed actions while correcting the exaggeration of regulatory and opportunity costs. With a deeply anti-regulatory ideology currently gripping all three branches of the federal government and many of the states, Flip Side’s thesis is unlikely to be enshrined in the administrative law canon anytime soon. In the fullness of time, however, Knudsen’s argument may—to end with a different metaphor—make some lemonade out of the environmental lemon that is Michigan v. EPA. 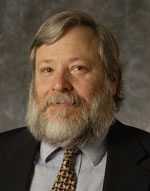 Cite as: Steve Gold, Better Environmental Law from an Unlikely Source, JOTWELL (December 7, 2018) (reviewing Sanne H. Knudsen, The Flip Side of Michigan v. EPA: Are Cumulative Impacts Centrally Relevant?, 1 Utah L. Rev. 1 (2018)), https://lex.jotwell.com/better-environmental-law-from-an-unlikely-source/.